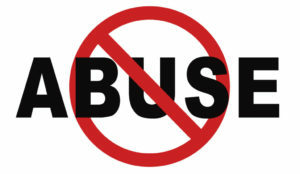 Stopping any kind of abuse is an admirable goal. My Patois-accented Jamaican mother would tell me about life and say, “Prevent(ion) is better than (a) cure.” To me that phrase meant that if I took steps to lessen the likelihood of an adverse occurrence, then things would be way better for me. However, my mom was not able to prevent the sexual and physical abuse I’d experienced as a child. She and my older half-sister were themselves victims of abuse at the hands of my biological progenitor. It’s as if the notion of abuse has sprung up from the fabric of America out of nowhere. Yet, as one surveys all the women coming forward, abuse has been prevalent for a very long time. Physical, emotional, and sexual abuse know no color, race, gender, sexual orientation, or socioeconomic background. From Washington, DC to the USOC, systems—which enabled, concealed, or ignored the occurrences—are responding in ways similar to the manner in which family systems get jolted when their members’ express experiencing such horrors. Those systems do a b.a.d.d. thing when they blame, avoid, dismiss, or downplay the victim’s reality; which then slows down the process for creating a truly safe environment. Present: focus your attention fully on your child when you are interacting with them. Available: communicate and follow through on your commitment to be physically, emotionally, and mentally present with your child. Receptive: demonstrate—through your verbal responses and body language–that you are listening to and hearing your child. Engaged: doing the first three items will lay the groundwork for you to better connect with your child; this will establish trust and facilitate the likelihood of their being open with you about what’s going on in her/his life. Never say “never,” for you and your child are different and will experience and process life differently. Teach your child appropriate boundaries; they pick up more on what you do than what you say.